Online ordering menu for IN FRETTA (Irving, Tx). 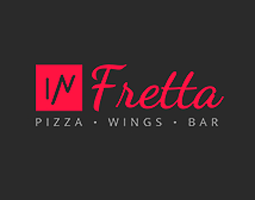 Come to In Fretta in Irving, Texas to create your own pizza or try one of our specialty pizzas such as the Chicken Bianco, Pesce Piccolo, or the Roasted Bruschetta. We also serve calzones, Korean wings, and salads. Find us conveniently located at the corner of I-635 and Belt Line Road. We're near North Lake. Order online for carryout or delivery!